The Musée de la Romanité has signed the Mom’Art charter. The aim of this association is to help museums and cultural venues all over France to improve their welcome and services for families. 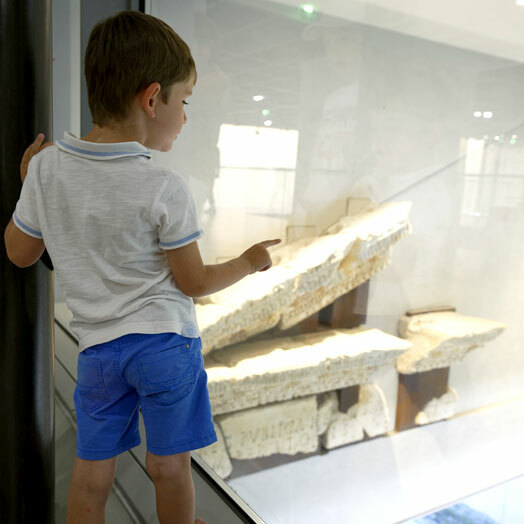 A ‘joyful museum’ is a welcoming one, one that you wish to visit and that you enter with pleasure and where you discover things while having fun. It is also an innovative museum within the range of everyone—both small and big. The Musée de la Romanité pays particular attention to the wellbeing of persons with disabilities who would like to visit the museum. Entry is free for disabled persons and for 1 accompanying person. It is necessary to go to the ticket sales counter (priority access queue) to be given a free ticket (guide dogs accepted). The entire museum is accessible for persons with reduced mobility—inside and outside, in the garden and on the rooftop either by means of lifts or access ramps. A wheelchair is available for use by visitors at the reception of the museum but there is no reservation system as yet. There is a drop-off point 50 metres from the entry to the museum (close to ‘Le Cheval Blanc’, the restaurant and Wine Bar) to make access easier for persons in wheelchairs. Various facilities have been installed for the targeted welcoming of persons with a visual, hearing, physical or mental disability. A tactile route has been installed along the permanent visit route and is centred on objects to touch—especially for the blind and people with poor sight. A visioguide is also being finalised: specific routes will be shown in sign language for the deaf and hard of hearing, audiodescription for persons with poor vision, and information that is easy to read and understand. The commentaries provided (video in French sign language, audiodescription, information that is easy to read and understand) are designed by companies specialised in the production of accessible visit aid content. 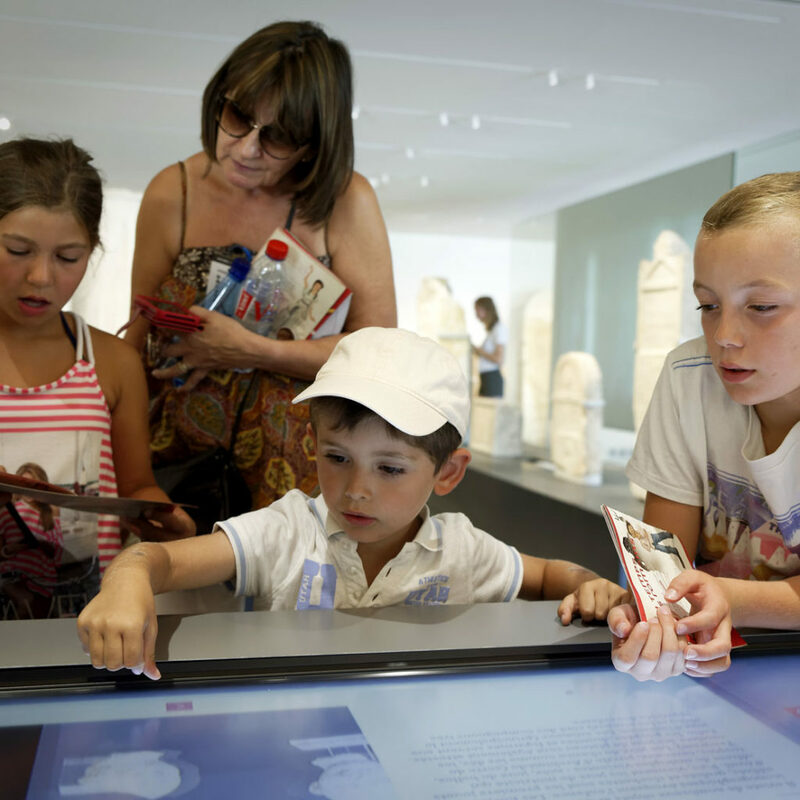 A landmark destination for the 2018/2019 season, the Musée de la Romanité has entered the tourism landscape in the South of France and welcomes groups of 20 persons or more. From 2 June to 24 September, entry to the museum includes both the permanent collection and the inaugural exhibition. Groups are welcomed every day that the museum is open from 10 am. For guided visits and catering service, groups must be at the museum reception at least 15 minutes before the time of the start of the visit specified in the contract. In case of delay, the head of the group must inform the Musée. The duration of the guided visit may then be reduced or, if the delay is too great, an independent visit will be proposed during the opening hours of the museum. Guided tours for school children will be offered in 2019. Several formulas are proposed to professionals for listing the Musée de la Romanité as a new destination for clients. They include independent or guided visits to the museum, packages including meals and the rental of venues. Something new? An exceptional venue in Nîmes? Something to contribute a touch of prestige to your events? Opposite the best-conserved amphitheatre of the Roman world in a town that has applied for UNESCO World Heritage status, the Musée de la Romanité can provide a range of unique services and an exceptional venue for all your business events (meetings, seminars, cocktail receptions, gala evenings, etc.). An auditorium, rooms for meetings, reception areas and a rooftop terrace with a 360° view of Nîmes can all be privatised for hosting your events! Without forgetting the archaeological garden, the brasserie ‘La Table du 2’ run by a starred chef and possessing a terrace with a magnificent view of the Roman arena. 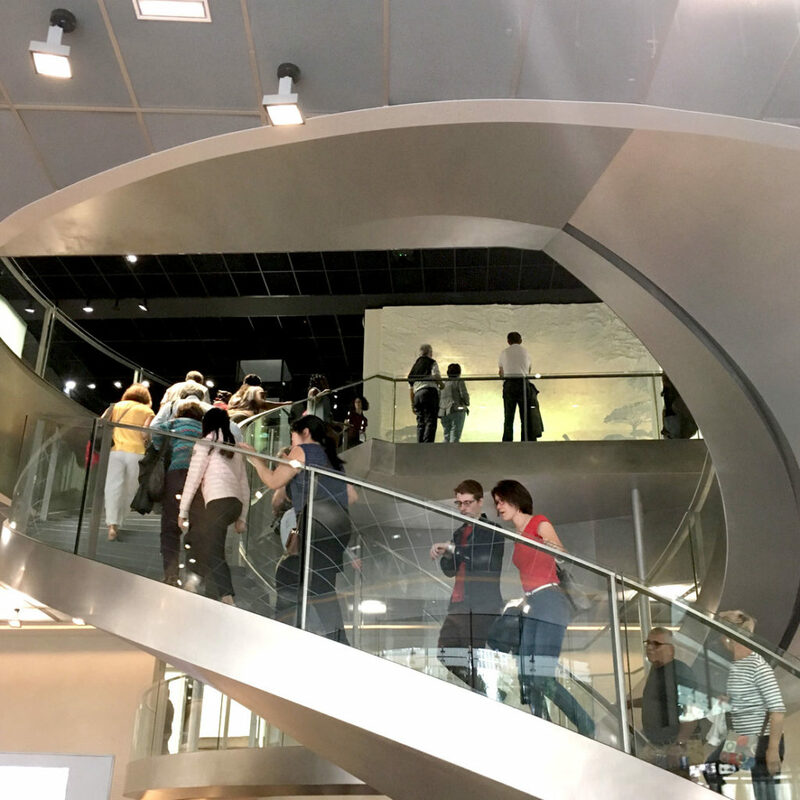 And to add to all this, see the heart of the museum and its exceptional collections—a discovery of Nîmes that will give your customers and staff an unforgettable moment. Download the latest press packs and releases. A photo library is also available on request. For a press visit of the museum, please contact the Communication Department in writing with at least 7 days notice.